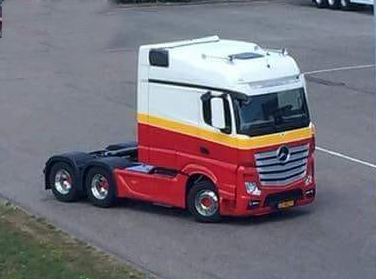 This photo was sent in to Iepieleaks and what we see is a Mercedes-Benz Actros with a streched cab! The longer cab looks like it is based on the Streamspace model in the front end, but the roof seems to raise a bit to the back. Hopefully we get more information soon about this beauty!